Wigan Athletic’s first game of the 2011/12 Premier League season will be against Championship runners-up Norwich City. The Canaries travel to the DW Stadium on August 13th and this fixture is followed by Swansea away on the 20th and then Queens Park Rangers at home on 27th. Some may say that these first three games are an easy start to the season, but my personal view is that the newly promoted teams will be determined to make a good start in the top flight. The adrenaline will flow and they will want to show that they can compete with the very best. Last season’s opener against Blackpool shows how a team who have built up a winning momentum during a promotion season can continue that progress in the early stages of the Premier League season. So let’s look in more detail at the three promoted teams. 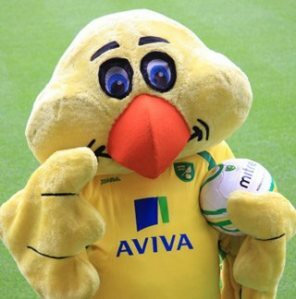 Norwich have made two successive promotions and have risen phoenix like under manager Paul Lambert. Only nine months after leaving his post at Colchester he led Norwich to the first promotion and last season managed to galvanise his team into a second promotion to the promised land. The Canaries had been in a downward spiral since leaving the Premier League in 2005 and had gone through a succession of managers including Nigel Worthington, Peter Grant, Glenn Roeder and Bryan Gunn until Lambert arrived to rescue them. Norwich like Blackpool before them have no stand out names. Grant Holt their captain and player of the year for the last two seasons is a solid player, but is far from being a household name. Lambert is not looking to make signings from overseas, but has targeted seven additions to his newly promoted side. He has already made three pre-season signings, midfielder Elliott Bennett and strikers James Vaughan and Steve Morison, but they have added little Premier League experience to the Norfolk outfit, with Vaughan’s eight starts and 39 substitute appearances for Everton making him the only one of the trio to have tasted top flight football. Only four other City players have notched up games in the Premier League – John Ruddy (one), Adam Drury (33), Leon Barnett (11) and Andrew Surman (seven) – and Lambert has hinted he will not be bucking the trend with future acquisitions. Familiarity, hard work and teamwork will play a crucial role in Norwich’s attempt to stay up, but ultimately I think the lack of top quality players will be Norwich’s downfall. Just like like Wigan Swansea City play a very attractive style of football. It is no coincidence they both play this way given that the architect of this approach is Roberto Martinez. Martinez took over as manager of Swansea in 2007 and immediately transformed the club from top to bottom. He recruited new players, changed the style of football, overhauled the coaching and fitness regime, in fact, he changed the whole ethos of the club. When he took over the Swans were struggling in Division One, but in his second season the club were promoted to the Championship with a record haul of 92 points. 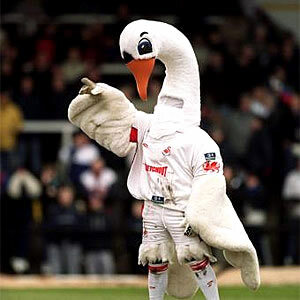 Before he left to takeover at Wigan, the Swans had just missed out on the play offs in the Championship. The club’s progress under Martinez had been exceptional. Roberto explains his footballing philosophy in his book ‘Kicking every ball’ published in 2008. “You have to find the chance to score rather than chase it. As well as the skill, you need a clear understanding of the game and a clear control of the tempos of play with the possession of the ball. As a manager I want to rely on the talent of the player, not on percentage football, to win a game. I believe this approach is vital. I will never subscribe to the view that as a manager you can take any way to a win because that can only bring success in the short-term. It doesn’t allow you to build and grow something for the future”. Subsequent Swansea managers Paulo Sousa and Brendan Rogers have continued with the same style of football, with the team gaining promotion to the Premier League via the play off final beating Reading 4-2, with former Wigan loanee Scott Sinclair scoring a hat trick. It is interesting to note that following the promotion the Swansea players paid tribute to the important influence Roberto Martinez had on the club. Swans chairman Huw Jenkins says that they will continue to play the same attractive style of football in the Premier League and believes they can compete with the big teams. However, it is often difficult for teams who gain promotion through the play offs to plan and recruit appropriate players for the top flight. The summer transfers have so far been limited. Swansea have released key midfielder Darren Pratley and are in discussions to sign Spanish international Marcos Senna. Swansea don’t have the resources of most of the other clubs and I do not expect them to spend heavily on transfers. Swansea will win many admirers for their attractive football, but I think their lack of resources will restrict the quality of their signings, and this in turn will limit their chances of survival. 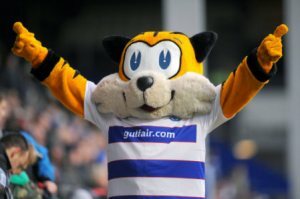 QPR were promoted to the Premier League as Champions but the promotion was somewhat tainted by an FA investigation into QPR’s acquisition of Alejandro Faurlín which threatened to deduct points from the side and put their promotion into jeopardy. The investigation found QPR to be at fault in two of the seven charges, and they received a £875,000 fine, but no points deduction came into play. QPR have some extremely wealthy owners. In fact, Bernie Ecclestone, Flavio Briatore and Lakshmi Mittal rival Roman Abramovich or Sheikh Mansour as the richest owners of a Premier League club. The trio are never far from controversy. Flavio Briatore’s future as QPR chairman came under question in September 2009 after he left the Renault F1 team in the midst of race fixing allegations. The owners have been accused of cashing in on the club’s promotion by hiking the prices of both match day and season tickets. Queens Park Rangers supporters have reacted angrily after learning they will be charged up to £72 to watch their team in the Premier League next season. The cheapest tickets will be £47 while season tickets are up by almost 40% from last term, although with four home games less in the Premier League compared to the Championship, the increase is even more in real terms. QPR’s season ticket price changes will see the most expensive band – platinum – increasing from £699 to £999. The motivation of the trio in owning QPR remains unclear. None are natural fans of the club, and whilst they have bankrolled losses (injecting £41m up to 31st May 2010 on top of the £14m paid originally), there has been no substantial investment in the playing squad or ground. Briatore has famously spoken of turning the club into a ‘global brand’, but no mechanism to achieve this has been suggested. In the three seasons up to 2009/10, the club spent a net £4.8m in cash on players and a net £5.3m on the ground. Net transfer spending in 2010/11 was close to zero. Success has come from finally finding a manager in Neil Warnock who is a proven promotion specialist, not from spending. Meanwhile Ecclestone placed a £100m price tag on the club in April and there were abortive talks about he and Briatore selling out to Mittal in May this year (ending with the Mittal offer being dismissed as “insultingly low”). So QPR and its owners remain steeped in controversy. They are the mega-rich owners who haven’t bought any players and who, despite the £40m windfall coming the club’s way, feel that they need to hike season ticket prices by an extortionate 40%. QPR have an experienced manager in Neil Warnock and although some people may not like his style he does have a good track record in getting his teams promoted. He has managed in the Premier League previously with Sheffield United, but as we all know his team were relegated on the final day of the 2007 season against Wigan. Rangers have players with Premier League experience in Paddy Kenny, Shaun Derry, Danny Shittu and ex latics player Fitz Hall, plus some exciting youngsters, but they will need to add more quality to the squad. QPR have a prized asset in midfielder Adel Taarabt, but it is now looking likely that he will move on. Warnock is very good at organising and motivating his troops, but unless the wealthy owners are prepared to invest in the playing staff, they will have a difficult season ahead. This entry was posted in Norwich City, QPR, Swansea City, Wigan Athletic and tagged Norwich City, QPR, Swansea City, Wigan Athletic. Bookmark the permalink.